Every homeschool mom needs Mother Culture in her life. She needs time to nurture her own soul, time to fill up so that she can pour out. Homeschooling is time-consuming, challenging, and rewarding. And it can also be extremely draining. Even if you’ve counted the cost and you know why you’re homeschooling, you can still go through a period of feeling a bit burned out. This post contains affiliate links. Read my disclosure here. The point of Mother Culture is to help you avoid that feeling of burnout. To keep your soul nurtured so that you have more to give. 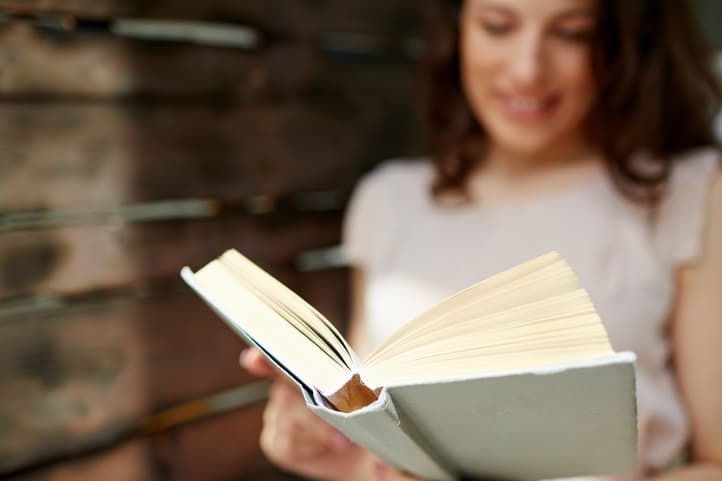 There is nothing like reading something encouraging, uplifting, and insightful to fill up your soul and give you the strength and stamina to keep going year after year. 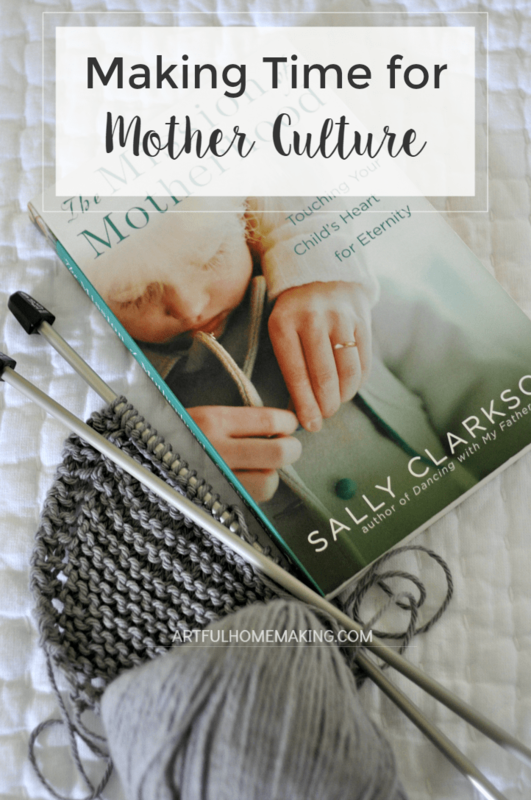 Mother Culture will help you thrive rather than just survive as a homeschool mom. 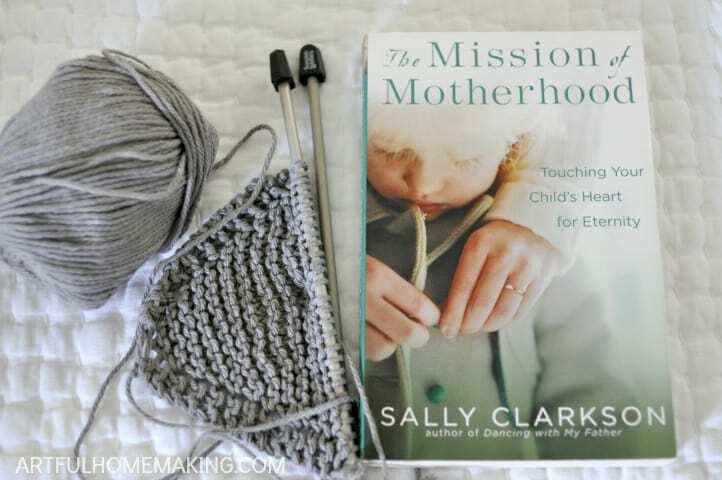 I discovered the idea of Mother Culture many years ago thanks to this book. Immediately, I latched onto this idea and it has stayed with me through these almost 15 years of homeschooling. I keep a steady stream of books going (here’s my list for this year), and I read whenever I can find the time. Actually, I have to make time for it, but I’ve found if I keep a book with me I can often sneak in a little more reading. No matter what you decide to read, the main thing is to understand that nurturing your own soul and filling your heart and mind with encouraging thoughts will only enrich your life as a mother. You will be refreshed, and, in turn, you will be able to share that truth, beauty, and goodness with your children. Making time for Mother Culture makes you a better mother. If you’re wondering how you can possibly fit in one more thing , I suggest taking a look at your schedule. Could you read during nap time? Can you take a book with you to appointments? This past school year I got so much reading done during my children’s lesson times. Maybe you could get up a little earlier, or read before bed (make it part of your bedtime routine), or maybe you could try listening to audiobooks while you exercise. And keep in mind that you don’t have to carve out large chunks of time for reading. Here a little and there a little will add up, and you’ll be encouraged. You’ll be growing. That’s the important thing. The purpose of Mother Culture is simply to nurture growth in the life of the mother. Therefore, you’re free to read whatever speaks to you. I’ve shared some of my favorite books below, just in case you’d like to add some new titles to your reading list. What are some of your favorite books? Share them in the comments! Week 4 Progress Report: Nothing to Wear? Shop Your Closet! This post contains affiliate links. Read my full disclosure here. Sharing here. Joy, this post is really very encouraging and inspirational for me. This is a story of all the mums, after baby we get so busy with them (which is important) that we forget about us. I had three month maternity leaves, i did not wanted to go on the fourth month because it was too hard for me to leave my little oe at home but i am thankful to god that i made a right decision to move out on that day. I will definately give a ready to the book and wil share this post to my friends too. Thanks so much for sharing. I will subscribe to your blog for more such posts. So glad it was encouraging, Hannah! Your reading habits sound much like mine. Even though my kids are grown, life is still busy. I have much the same 3-book plan and carry a book with me all the time. It’s easier than ever with Kindle. I hope the young moms out there who think they don’t have time to read will take your great advice. Thank you for sharing this book! I was one of the burned-out homeschooling mommas. I couldn’t do it anymore, my health was affected. I wish I had read this book! I’m glad it was encouraging! And I’m so sorry you had to deal with burnout and all that comes with it. Thanks for stopping by, Julie! Love this idea of mother culture. A taking care of and feeding our souls. I find without some nurturing of myself, I get crabby and that is not a good thing. So a little mother culture is good for me and those around me. Like you said, we need to find some time here and there. With my first born I nursed and gazed into her eyes, not wanting to miss a moment and feeling that this was what I had to do. With my second, I nursed and read and didn’t feel bad at all. I got through so many books. I agree Theresa! When we take care of our own souls, everyone benefits!